EC Brighton is having a pub night for only those over 30 years old. 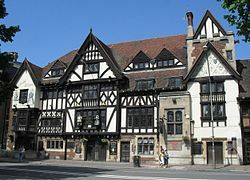 Pubs are a prominent part of British culture. As well as many other cultures around the world. In many places, particularly quiet villages, the pub is the focal point of the community. The word ‘pub’ comes from ‘public house’. A shared environment where alcoholic beverages are sold, dating back to the 5th century.